What is all the fuss about Micellar Water and what is Micellar Water? All of a sudden lots of brands have released their own version. Including Garnier, Laroche Posay and Swisse. Well, according to Laroche Posay, Micellar water takes its name from micelles, tiny round balls of cleansing molecules that float in the water. When you apply the Micellar Water to your skin, the cleansing agents come into contact with oil and dirt on your face, allowing them to be swept away quickly and efficiently. Micellar cleansing water uses very gentle but effective cleansing agents. There is no tingling or tightening effect, and it’s powerful enough to remove eye makeup too. Just apply a splash to a cotton pad and wipe off the make up and grime of the day. 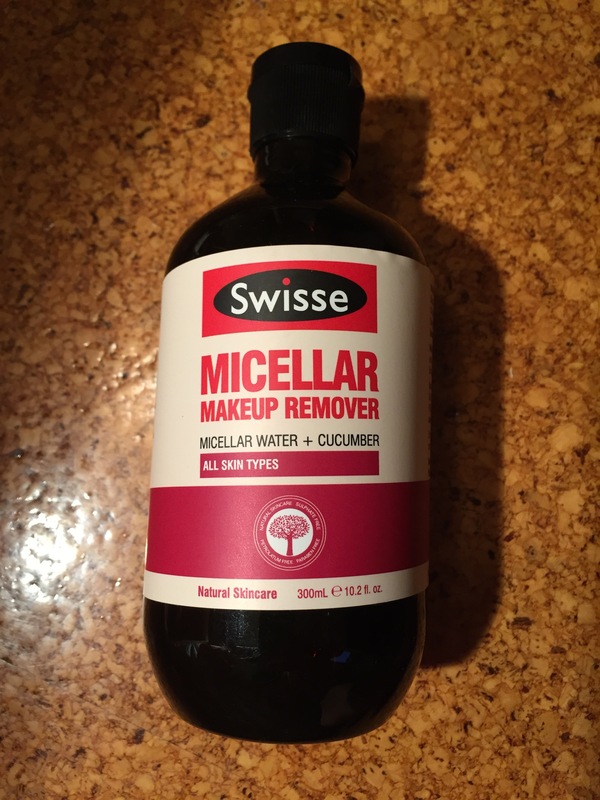 I have been using the Swisse Micellar Water and I have been very impressed with the way it has removed my eye make up so gently and without any residue. The scent is light cucumber and it’s not oily at all. Its almost as if I washed my face with plain water. Swisse says that this is a natural, gentle rinse free make up remover that is formulated to effortlessly remove all traces of even the most stubborn make up. It is enriched with Micellar water and cucumber. In terms of performance, I have really enjoyed using this product and find it highly effective. Much better than Clinique’s Take the Day Off Make Up remover that I have written about before. I would definitely purchase the Swisse Micellar Water again. It’s great value for money and I’m sure this bottle will last me an entire year. You can purchase Swisse Micellar Water at Priceline and Coles for around $12.